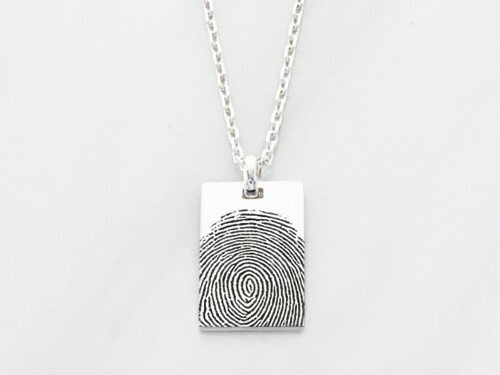 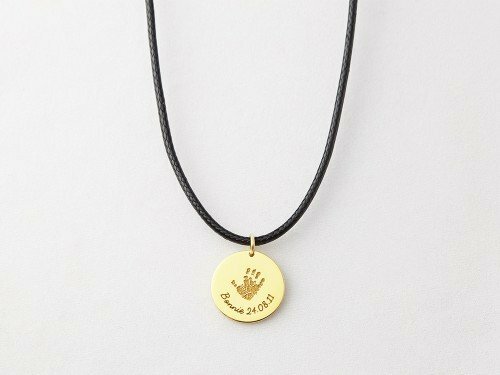 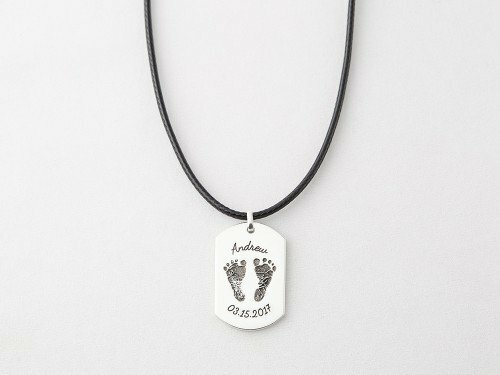 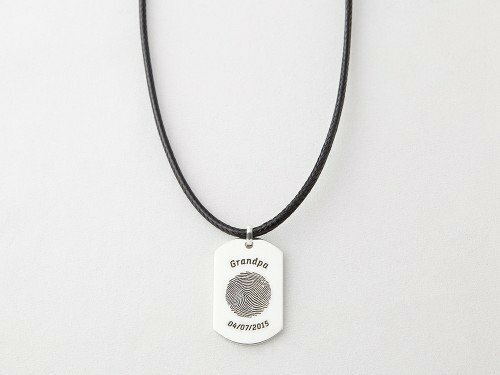 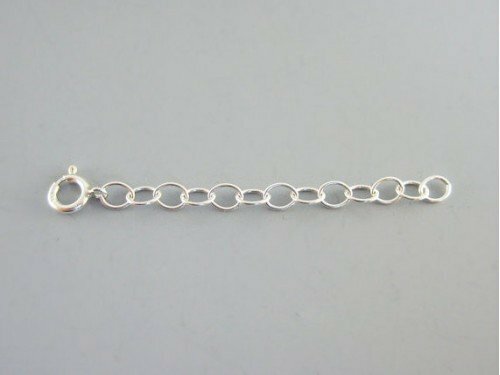 Worn on a leather cord, this silver thumbprint necklace is a stunning memorial necklace to honor memory of someone they cherish. 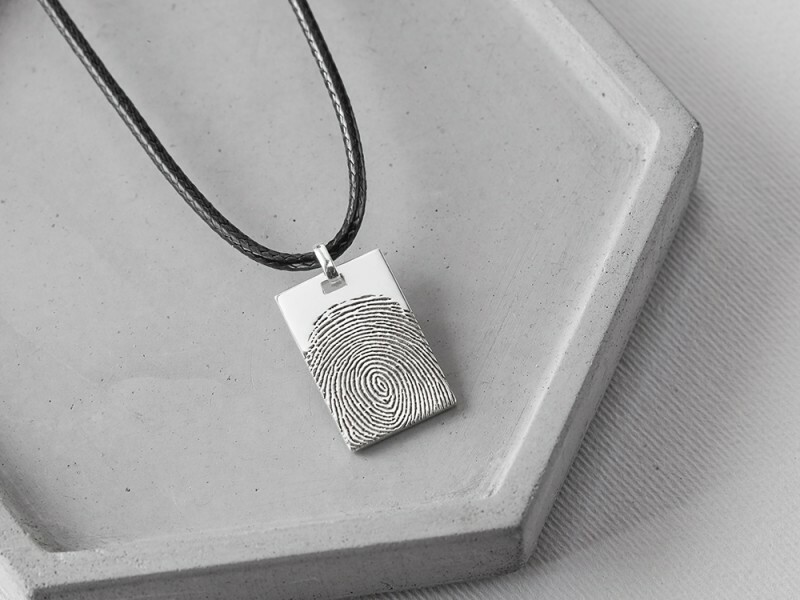 No fingerprint kit is required, only photo of any ink print. 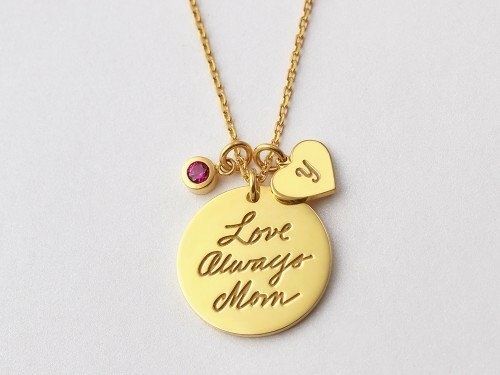 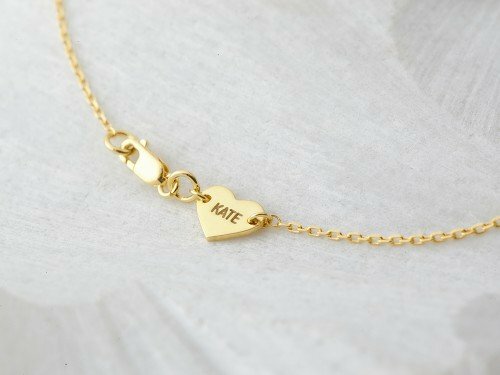 Further personalize it with a short message on the back. 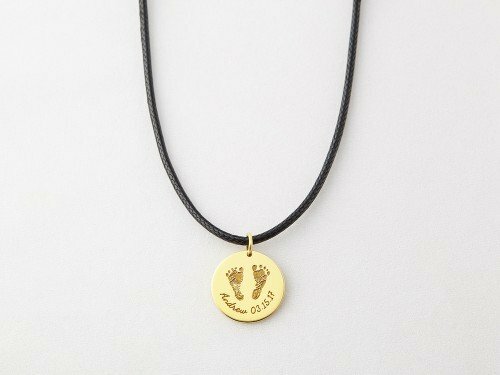 This memorial necklace is unisex, making it perfect as couple wear. 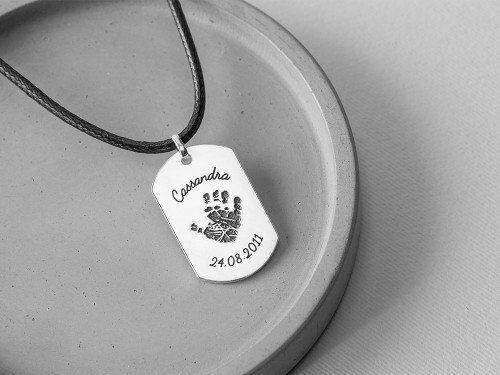 - You could add a short message on the back with the default font displayed. 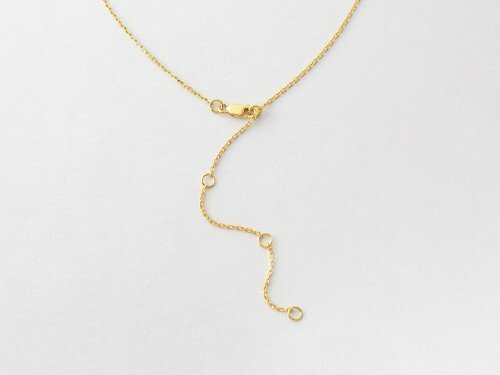 Word limits: 5-7 words.